I have been wanting to visit Mad Pizza Ebar for a while now so I am glad I can finally tick this off my list! Even before you step into Mad Pizza Ebar, you can already sense this cool funky vibe coming out of their restaurant. I was liking this place already. The linguine was the number one selling pasta at Mad Pizza Ebar so that was a must get for me. The dish was filled with a generous amounts of prawns, the croutons were super crunchy and most importantly, the food was honest. Wished it had more croutons to soak up the sauce. Lamb shank on a pizza? That was new to me and surprisingly the greek yoghurt, lamb shanks and the rocket went well together. There wasn't an overload of greek yoghurt so it wasn't overly sour or gooey. Both dishes could have done with more salt but otherwise they were good enough to satisfy my Italian cravings that night. The thing I love most about Parramatta is that there is an endless amount of Italian restaurants. 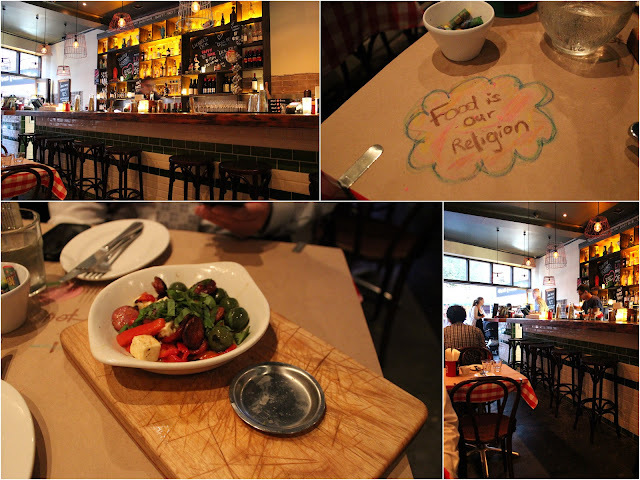 You can stroll along Church Street and stumble across a good handful of Italian restaurants at the very minimum. I know aranchini balls are super filling but they are my substitute for chips. 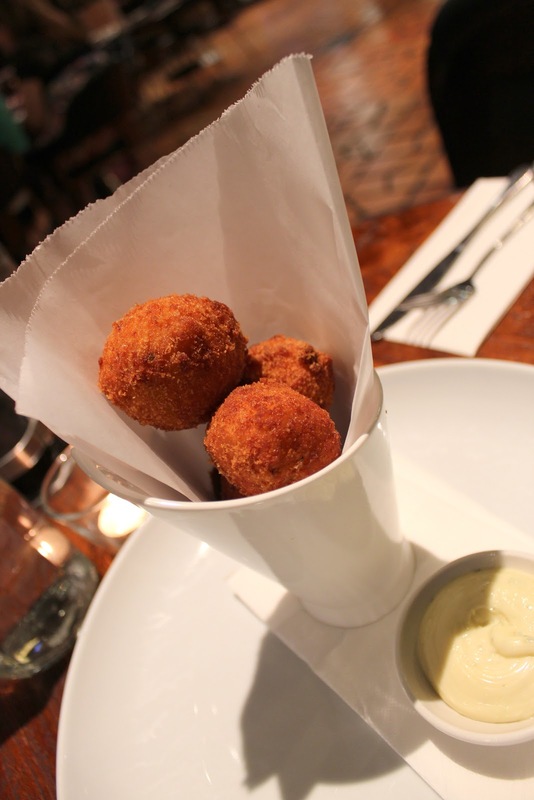 The best part about these balls is smothering them with aioli sauce allllll over. The home made truffle oil drizzled over the pizza was what made it the wining dish of the night. I do like my truffles but I am not overly crazy about it either but in this case, it seemed to have brought all the other ingredients together. The servings at Sicilian were ginormous! Perhaps it may be the aranchini balls that filled us up because DC and I struggled to finish off both the mains. So a heads up is that if you are planning to make a visit to Sicilian, do yourself a favour; skip the entrees and go straight to the mains otherwise you may be rolling out of the restaurant like I did. I always love a good find and Chiswick was definitely a hidden gem. I must admit I had a few doubts about this place because there were only a couple of stores right next to it and the restaurant was close to being empty. Not sure if its because I arrived late on a Friday night but as I have learnt, never judge a book by its cover. If you want to get your bang for your buck then this is the place to be. For mains to be close to $15, their servings were definitely considered generous and the dishes were very hearty. The dishes were packed full of flavour. The penne was cooked al dente while the eggplant and the sauce tasted home-made and authentic. If I lived around Chiswick, I reckon this would be one of my local favourites. You just can't go wrong with cheap hearty home-like Italian cooking. On the way home from Sicilian that night, I noticed this cute little Italian restaurant, Nonna Maria's Place. It didn't seem entirely packed out but it looked so home-like and snuggly so I just had to try. Free lemonade and bread is served when dining in too. Gotta give extra brownie points for that, especially when considering most other places only serve tap water for free nowadays. What impressed me the most was the hugeeee punch of chilli in the napoli and chilli sauce. To me, most of the times when the menu says its chilli in an European restaurant, it usually means there will be a subtle hint of chilli but not at Nonna Maria's place. When they say its chilli, it's actually chilli - you can feel the heat. The pricing at Nonna Maria's is insanely cheap. I don't remember the last time I saw pasta at a 'restaurant' served for under $15. This was definitely the cheapest Italian restaurant I had visited during my Italian craze. In saying that though and to be frank, it was probably my least favourite out of all 4 places. The Napoli and chilli sauce tasted great but there was a puddle of oil towards the bottom. The fettuccine in the pesto sauce was fairly creamy so this may be a better dish if you plan to share. Soooooo this pretty much wraps it up folks and yes, after writing about all these pizzas and pasta dishes, I am still not sick of Italian. In fact, I am still craving for some Italian food right now heh heh heh. So please do tell me, where is your favourite Italian restaurant? I would definitely love to know and check it out. Italian food is always comfort food at its best - carbs, carbs, carbs! Gnocchi is probably my favourite Italian dish, and I'm not a huge fan of super saucy pastas either - much prefer my pasta's light & fresh. My go to Italian place is always Café Sopra! La Casa in Five Dock is also quality & in big groups, Crinitis is always popular... Although for the price, Sopra is much better quality! you weren't kidding when you said you've been having an italian feast? hahaha. love it. it is such wholesome food that fills you up like no other cuisine. I'm such a sucker for carbs! and it always looks so glorious. i can't decide which looks the best! Wow all the Italian foods are very yummy!! Did you ate all of them? what's the best? I'm interested in some sicilian dishes...How I envy you!! Lamb shank meat on pizza?!!! Love it! I forever love Italian cuisine! i love mad pizza ebar! their pizzas and pastas are amazing and best of all their cool casual vibe really adds to it! dinner wasnt that long ago, but all those photos and write up ... i think i can have a serve here thanks! haha! Wow I have some serious food envy right now. SO much Italian goodness right here and you're right, its impossible to get sick of! Oh I love Italian Food, what a great round up!! The lamb shank pizza looked amazing!!! Oh and I would love an aranchini ball, YUM! 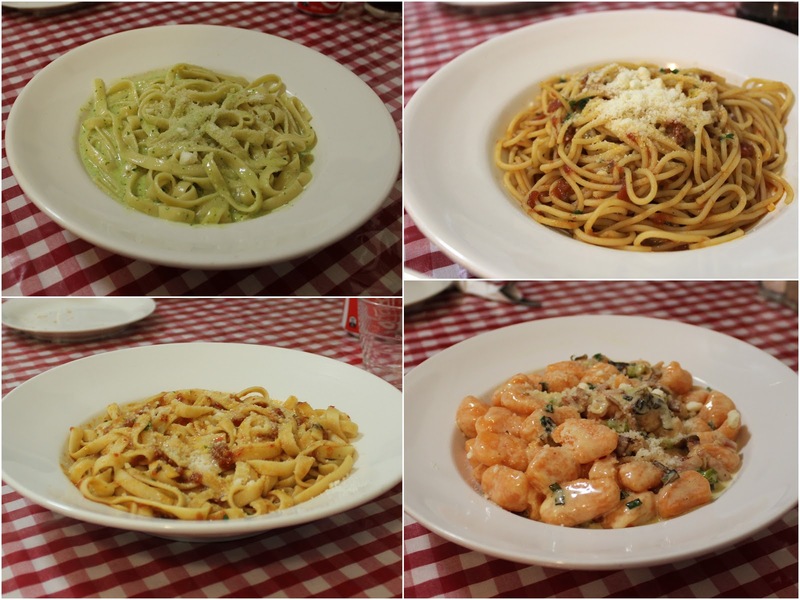 What a showcase of Italian dishes! Delicious.